I read Rachel O’Meara’s article on the importance of pauses—especially as a tool for reevaluating professional direction—about a month ago. I took interest in the piece because I’ve been working to slow down these days. Not too long ago I mentioned that I tend to force decisions, or make them too precipitously. My intention—to be proactive and not overthink things—is sensible enough. But when I act too quickly I often regret it; I end up wondering whether I might have come to a clearer and more lucid determination had I given myself time to think. Like many people, I’ve historically fallen into the trap of believing that quicker is always better. I forget that time—unstructured time in particular—can encourage problem-solving. Lately, I’ve been experimenting with what it feels like to pause often, sometimes for longer than is comfortable, so that I can tune into my intentions before choosing to act. Taking these simple steps enabled me to clear my head and become more sure of who I really was. I achieved a level of introspection that simply would not have been possible while dealing with the daily urgencies of the office. Some people will inevitably choose not to return to work after a pause. This may not be such a bad thing and may even be a blessing in disguise that allows someone to pursue a new opportunity that might otherwise not have occurred. Pauses bring employees a renewed sense of purpose and alignment. Exploring new interests or lifelong passions, taking a class, or spending time with family that otherwise wouldn’t happen are all big payoffs. Employees can reflect on what matters in life and take action to align their behavior with that. Employees end up feeling refreshed and rejuvenated — a feeling that is likely to have a ripple effect on their job and their co-workers when they return. New leadership and growth opportunities emerge from these pauses. Newer or less experienced employees can fill interim roles and learn new skills. This leads to more fully engaged team members, which leads to greater flexibility and adaptability across a team or company. Needless to say, most employers can’t or won’t offer the kind of pauses that O’Meara took, and any amount of unpaid time off is too much for the vast majority of individuals. Still, it’s interesting to think about what would be possible if more of us were given small opportunities to stop and reassess. More and more, I find that big decisions—the ones that really matter—can’t be rushed. When there’s no readily apparent “right” choice, it’s important to give oneself time to weigh options, consider different outcomes, and even change one’s mind a couple of times. It’s incredibly difficult for me to embrace that last bit; having always prided myself on being decisive, I’m uncomfortable with fluidity. Yet I’m coming to understand that changes in perspective are often an essential part of finding direction. 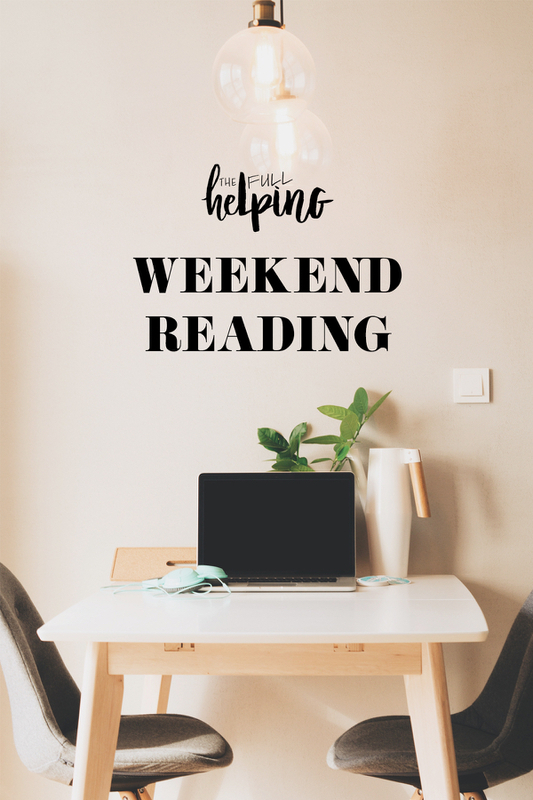 Hope you’ll enjoy the reads this week, which include a fascinating report on cholera treatment around the globe and a nurse’s honest reflections on finding herself in the role of patient. As usual, let’s start with some wonderful food! Nothing beats a hearty, healthy, nutrient-packed vegan burrito. 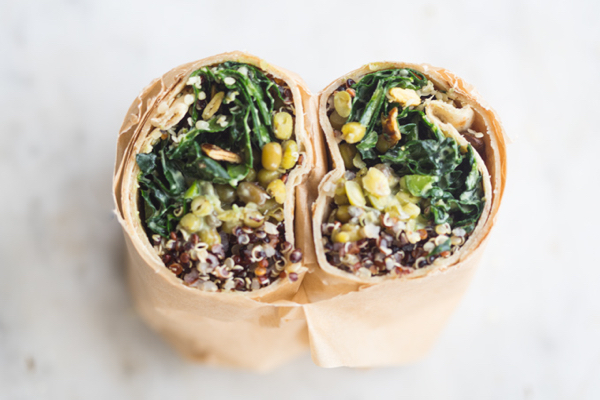 Heidi’s super green vegan quinoa burrito is all of those things, and it’s also a great make-ahead option for packed lunches and travel. It’s not exactly the height of pumpkin season anymore, but winter squash is still easy to find around here. 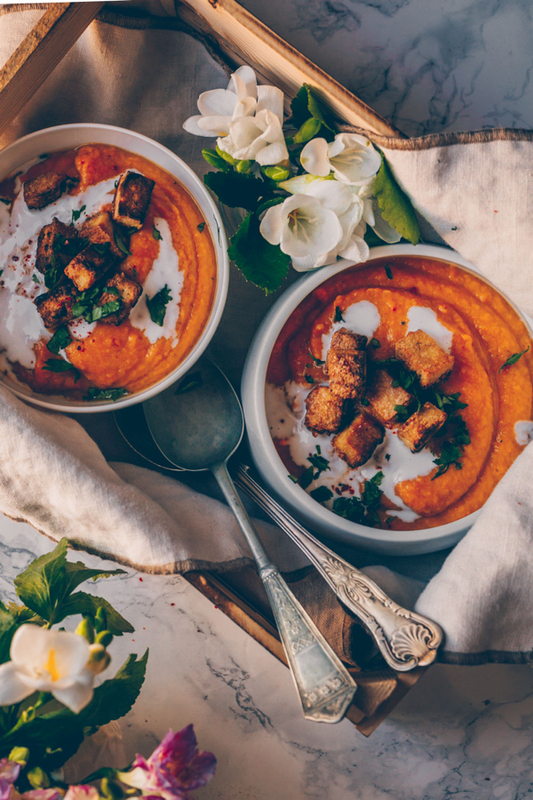 I think my farewell to squash season will be Kati’s beautiful roasted pumpkin soup. I love the addition of crispy tofu as a “crouton” (I do the same thing with tempeh all the time, and this would be a nice variation). I’ve had crispy roasted broccoli on my mind ever since I made this recipe a couple weeks ago. 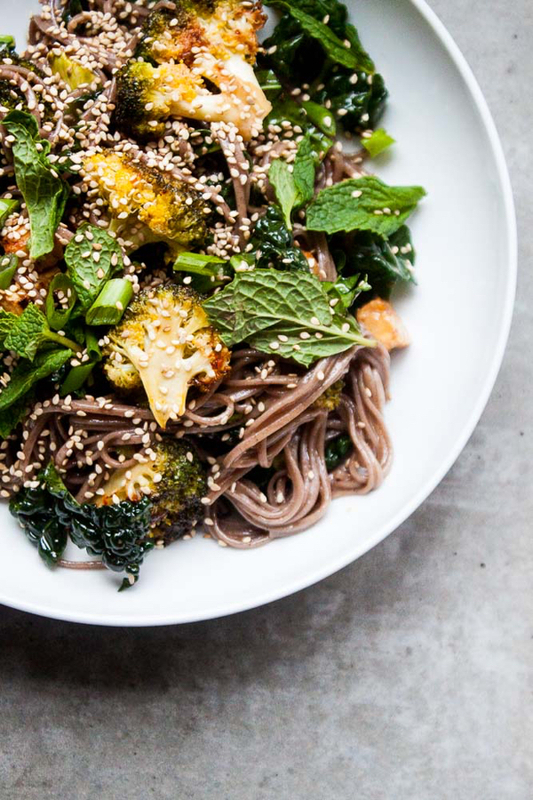 Now I have an exciting new use for it: Shira’s recipe for spicy roasted broccoli and sesame noodle salad, which is packed with plant protein (there’s kale and tempeh in there, too). I love making homemade pizza, but sometimes it feels like a commitment. 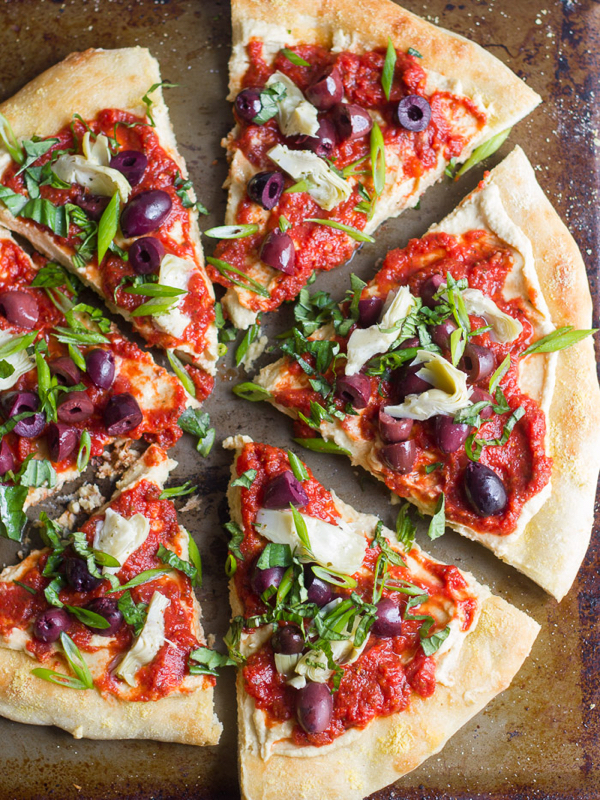 Alissa’s recipe for vegan Greek pizza is so simple and awesome-looking that there’s no excuse for me to whip up some homemade dough very soon. Speaking of simple, I’m loving Tessa’s easy vegan chocolate pudding cake recipe! 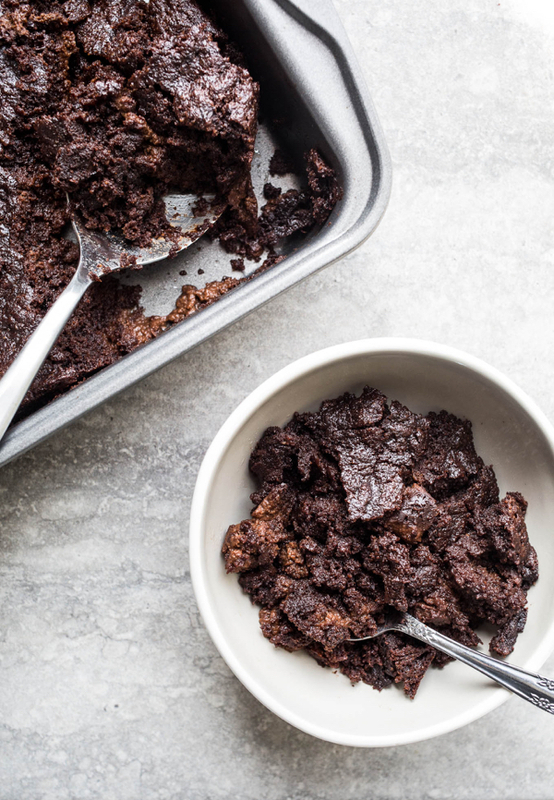 No mixer required, one bowl, and super fudgy—that’s my kind of dessert. 1. I remember reading The Ghost Map years ago and being surprised to learn that in spite of cholera’s communicability and virulence, treatment for the disease is relatively simple. This New York Times profile of global efforts to halt cholera outbreaks dives into that paradox and highlights some recent advances in the fight against a notoriously deadly infection. 2. When I first went vegan, I started to realize that my food choices stretched far beyond me and my body; I saw that what and how I ate could have an impact on the environment, animals, and fellow non-human animals, too. I wish I’d made these connections sooner; I think they would have helped me to be less obsessive and more passionate about eating. So, I was interested to read about a new app that teaches kids about the environmental impact of their food choices. The app isn’t intended to push a dietary agenda, but rather to help kids understand that their food has origins and a story. It—and other technology like it—might be an important step forward in making young people feel informed as consumers. 3. Also on the topic of kids/teens and food, I really like these insights into helping children develop a healthy relationship with eating. 4. Lindsay is an oncology nurse who crossed the bridge into life as a patient when she was diagnosed with stage 3 colorectal cancer. 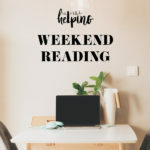 In this beautifully honest blog post, she offers an apology to the patients’ whose struggles and experiences she may have dismissed or witnessed without empathy, until now. 5. Finally, Rachel O’Meara’s thoughts on the value of pausing. I hope you enjoy the reading, and the next time I check in, it’ll be with an easy, hearty vegan comfort food recipe!